Dr. Fernando José de França Dias Van-Dúnem (born 1952 to a Boer father) is an ambassador from Angola and 1st Vice-President of the African Union's Pan-African Parliament. From 1964 to 1965 was a research assistant for Professor Maarten Bos regarding international law at the University of Utrecht in the Netherlands In that same year he conducted a study on Recognition of States and Government. Ambassador Van-Dúnem has been a member of the American Society of International Law since 1964. For three years starting in 1969 to 1971 he was a lecturer on Public International Law, Constitutional Law and Administrative Law in Bujumbura, Burundi. For two years starting in 1970 he was Deputy Legal Advisor to the Organisation of African Unity. From 1972 to 1978 he was Chief Personnel Officer of the same organization. For one year starting in 1978 Ambassador Van-Dúnem was OAU Deputy Representative for Political and Legal Affairs near the United Nations in Geneva, Switzerland. From 1979 to 1982 he was Extraordinary and Plenipotentiary Ambassador of the People's Republic of Angola to Belgium, The Netherlands and the European Economic Community. For four years starting in 1982 he was Extraordinary and Plenipotentiary Ambassador of the People's Republic of Angola to Portugal and Spain. From 1985 to 1986 Van-Dúnem was Deputy Minister of External Relations, Luanda, Angola, from 1986 to 1990 he was the Minister of Justice of Angola, for a year in 1990 he was Minister of Planning of Angola, he attained the post of Prime Minister twice once from 1991 to 1992 and again from 1996 to 1999. 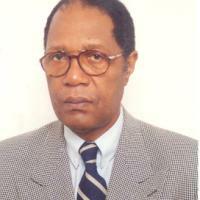 Was Speaker of the National Assembly of Angola from 1992 to 1996. Was Member of the National Assembly of Angola in 1999, while also being a Professor of International Law, History of Political Thought, and is on the Faculty of Law at Catholic University of Angola. Author of various articles on International Law, Political Sciences and Constitutional Law Participant in the peace process talks in Angola. One of the main participants during the quadripartite talks on Southern Africa which culminated in the adoption of the New York Agreements on December 22, 1988 and the UNAVEM Agreement . The ambassador has led various Angolan delegations to the UN, OAU and several other international organizations and conferences. In 1969 began work on a Ph.D. thesis on African Boundaries, Aix-en-Provence, France.